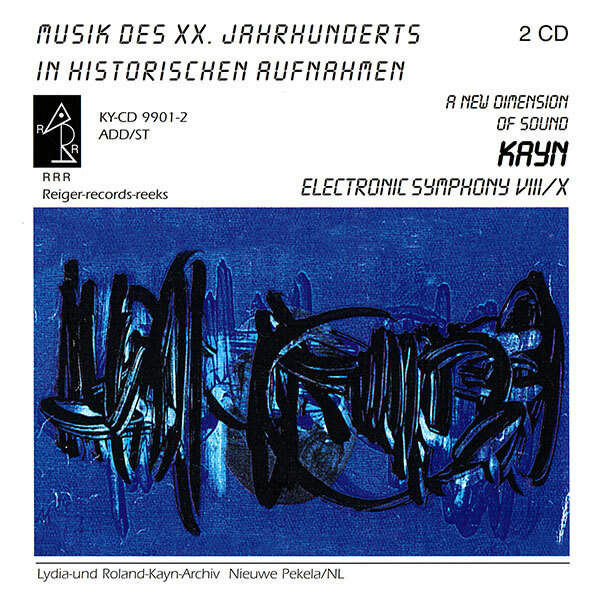 Roland Kayn was born in Germany in 1933 and started composing at an early age. He was just 20 years old when he won first prize at the festival of 20th century music in Karuizawa, Japan. Performances of his composition Aggregate (1959) resulted in him becoming persona non grata on the concert stage. Shortly after working in electronic studios in Poland, Germany and Italy, he joined the Gruppo Nuova Consonanza and this crucial detour into improvisation with Franco Evangelisti, Aldo Clementi and Ennio Morricone helped him find his definitive musical direction. 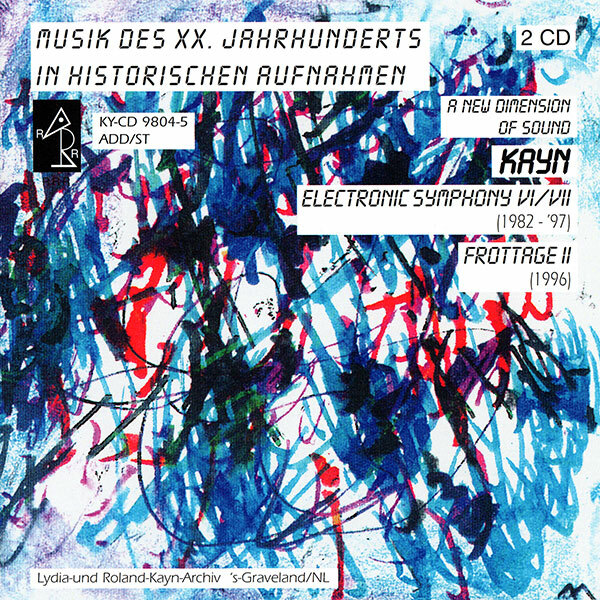 Kayn decided to pursue his musical quest through composition with the intention, strange as it may seem, of excluding the composer as much as possible. He concentrated solely on electronic and electro-acoustic music from 1970 onwards. 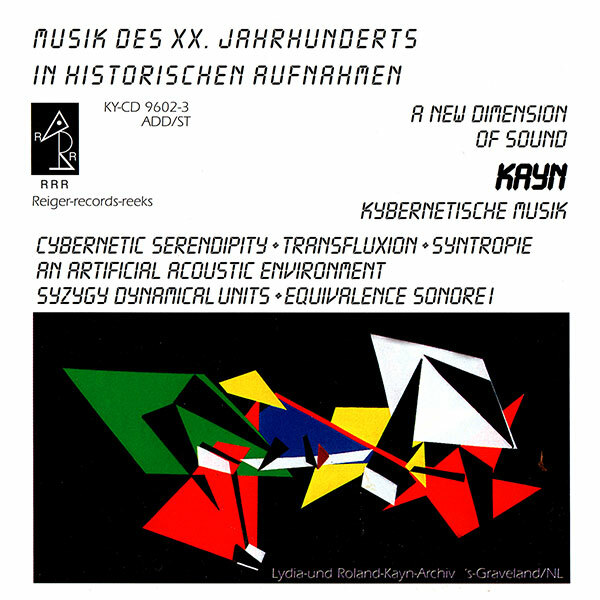 From an early age, Kayn was influenced by information theorists rather than other composers, and it was as a result of this that he started using the term “cybernetic” when describing his music. Basically, Kayn would design networks of electronic equipment and then develop a system of signals and commands that it could obey and execute. Words like “melody,” “harmony,” and “rhythm” do not apply to Kayn’s music. Music, supposedly, should have every detail defined by the composer. 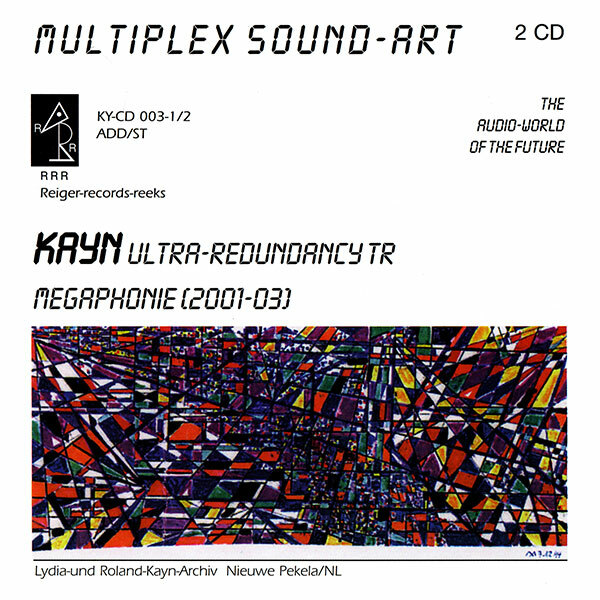 Kayn insisted that his “cybernetic” music should regulate itself, thereby relinquishing the narrative elements and the psycho-emotional details usually associated with the ideas of “authorship” and “work of art.” This meant that even he could not predict the eventual composition, which were sound processes without an epicentre, where every sound is equally important. 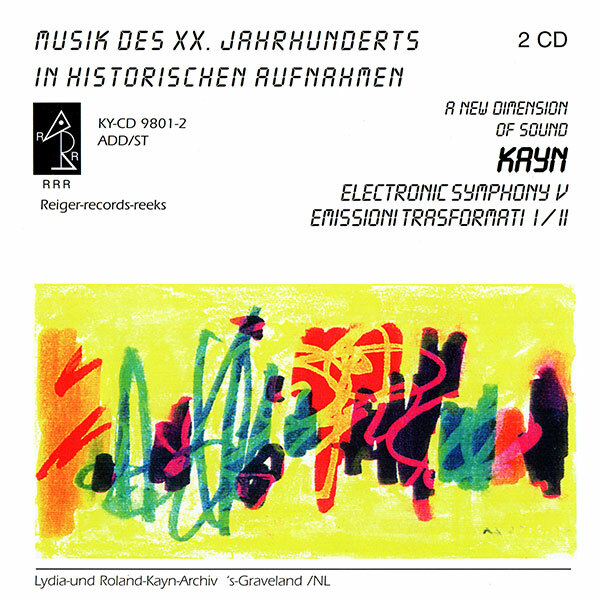 For Kayn, “Music is sound, which is sufficient in itself.” Roland Kayn felt that present day composers should avail themselves of the electronic techniques at their disposal and that electronic music is more than just the result of rapidly expanding technology. Cybernetic music – whether it is produced vocally, with instruments or electronically – is not initially "composed" and practised. It arises from the interplay of merged control loops setting a process into motion. In this instance, selected data – such as instructions and/or electronic signals directed to an information-processing memory (man, machine) – become particularly important. This composite of systems partially based on feedback gives life to a kind of educational process, which – in contrast to conventional processes – can be entirely autonomous. During chemical engineering processes studied on the microscope there is evidence of the possibility of rejections. Similarly, propagations of surface formations of elements, diffusions of rhythmic pulsations, colour shifts and specific effects can lead to new constellations (reactions). Analogously, and especially in the electroacoustic area, heuristic processes may be discovered that largely correspond with the above-mentioned phenomena, whereby however the composer entirely loses his original function. He is only able to decide if he will engage, control and regulate, or if he is simply willing to accept the outcome as an autonomously generated operation. Music as a "time art" becomes evident at first via the actual air surrounding the listener; ultimately, it contains – from a purely physical perspective – nothing but its molecules, converted into determined or random positions via mechanical or electro-acoustically generated signals. 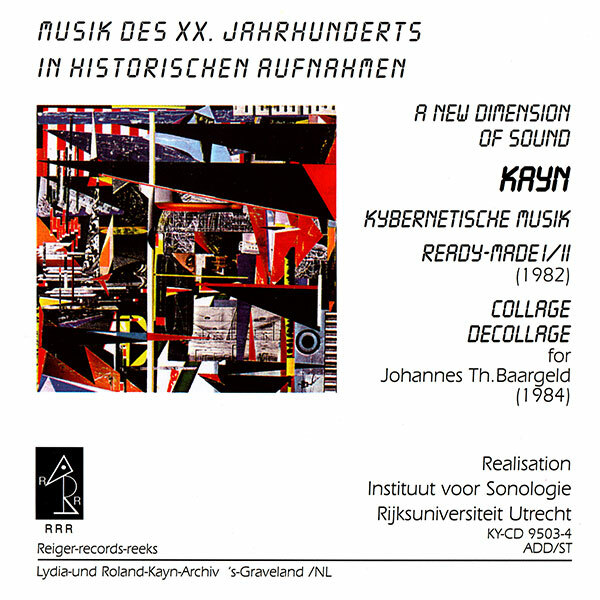 The first models for music of this type include Rolands Kayn's GALAXIS, multiple sound structures for variable instrumental ensembles (Moeck Verlag, Celle 1962); and, in the electroacoustic field, CYBERNETICS (Studio di Fonologia, RAI, Milan 1969). Kayn's main commitment was directed to the development of widely diverse cybernetically generated projects stemming from electroacoustics, including – among others – SIMULTAN, MAKRO, INFRA and SCANNING. This music, delivered as it is from rules and obligations linked to traditional performance practice and from sociological contexts, impressively fused technological and humanistic aspects. 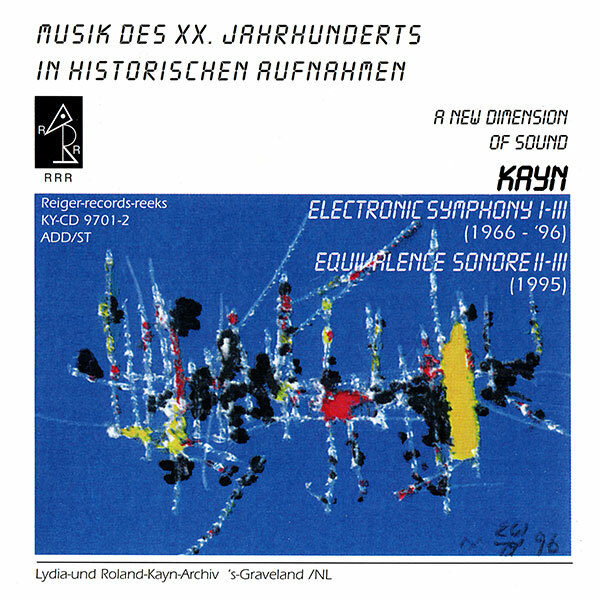 The ten Electronic Symphonies – written between 1966 and 1996 – represent a journey through a soundscape where phases of the works from this period (to be considered as the past) constantly meet what is contemporary, while also reflecting impulses. In regard to the selection, self-contained “objects trouvés” were given priority as the pieces were being generated in the studio. Their concretion developed in real time from a complex electronically autonomous system. Since the process cannot be traced back at a later date, the documentation on sound storage mediums becomes essential given that the corresponding details cannot be disclosed, thus abdicating traditional authorship. This “music” thereby exceeds the empirical category of commonly known music. 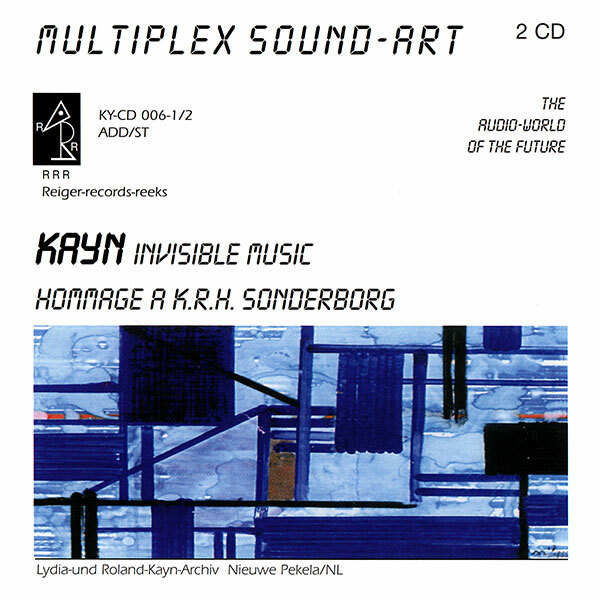 It contains something which was so described by composer Franco Evangelisti “… as arriving at something that suddenly can no longer be called music”. 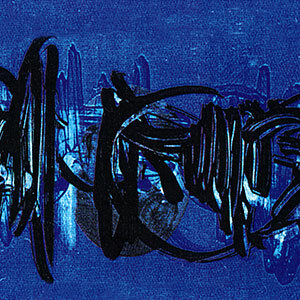 [Franco Evangelisti: “Vom Schweigen zu einer neuen Klangwelt” (From Silence to a New World of Sound), published by Edition TEXT und KRITIK, Munich 1985]. Presenting early music in historical recordings proved to be quite a valuable endeavour, which allowed the music's interpretation and instrumentation to appear in a new light. New music – in other words, that of our century also presented within "historic" interpretations and recording techniques – aims to make itself available as a document and to encourage a reinterpretation. This is particularly true when it involves – as in QUANTEN and FRACTALS presented here – unrepeatable recordings which become a “model character” for future recordings; therefore, an endeavour that largely justifies the risk. The recordings of the PIANO PIECES and DIVERTIMENTOS from the fifties form a basis for a compositional point of view, in an intrinsic stance of protest against twelve-note and serial composing systems; they demonstrate and clarify how "harmonious" reference points (pentatonic figures, fragmentary melody) are reflected in the other two compositions. The projects presented here document – in excerpts – a fifteen-year period of compositional work. They outline the phase of awakening towards the cybernetic design of an autonomously directed performance (1957's QUANTEN) until the collectively directed control of DIFFUSION (1965), through the numerous interconnected control loops of CIRCUITS INTÉGRÉS (1972). Cybernetic control – as it should be understood in this context – is not goal-oriented but rather randomly aligned, possessing a specific function in relation to electronic and organic systems within the interpretation process. Thus the result is reflected in a widely diverse scattering of perceptual aesthetic variations caused by retroactively coupled systems. A higher order of aesthetic information documents, in a special way, how the material components appear distributed during a realisation between composition and decomposition. This produces an innovative addition with each repeat of the performance, as the cybernetic process design of this category – given the unrestricted consumption via today's replaying devices – can work against the deterioration of the aesthetic object. That which is repeated is identical to the reconstruction, and causes deterioration; by contrast, the cybernetic process of control evokes that which is unique and not to be repeated. The piano piece QUANTEN, in generating macro temporal super signals, is no longer based on a “structure” but on a basic constellation that at the same time functions as a "program", inherently determining the whole process. 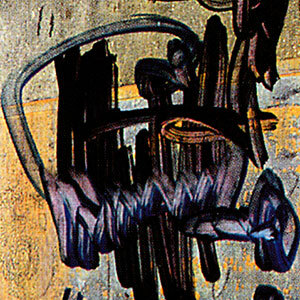 In both DIFFUSIONS and CIRCUITS INTÉGRÉS the performer only refers to a storage of signals set up almost entropically, directly producing recipient information which cannot be determined in advance. The live electronic projects recorded here may expose the optimisation of function between the "composite systems" from a point of view of cybernetic control, while illustrating the transitions between composition and improvisation, and between instrumental and electronic. At the age of seventeen Roland Kayn composed his orchestral piece No. 1, titled "Metanoia". 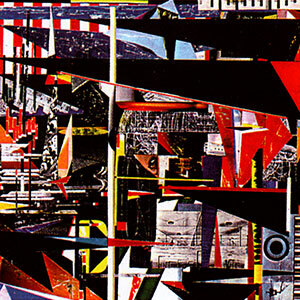 A revision of the piece appeared in 1989. 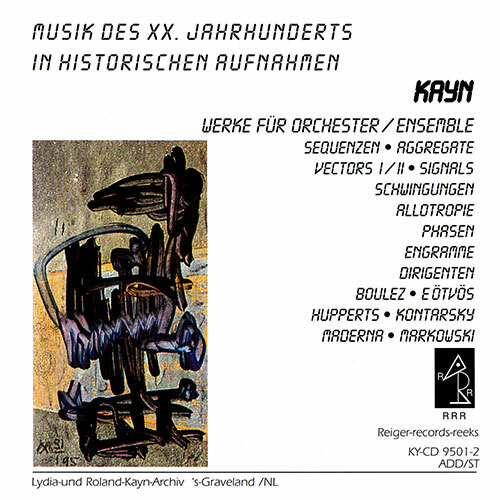 From the outset, Kayn's compositional interest was focused on large orchestras and ensembles of varied instrumentation. Chamber music was almost absent from his oeuvre. Similarly to the first orchestral work, some subsequent scores remained unperformed. Between 1959 and 1980 there were presentations of works in this category during festivals and international concert series. 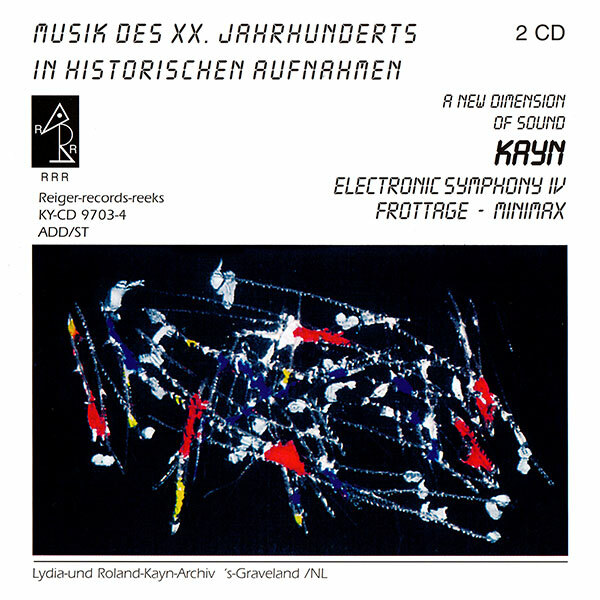 Kayn's early focus was on electronic music. The obstinate resistance in the politics of performance through conventional instruments (the practices of Amsterdam Concertgebouw Orchestra or Berlin Philharmonic come to mind in this context) led him to withdraw from the concert ambit in 1980. 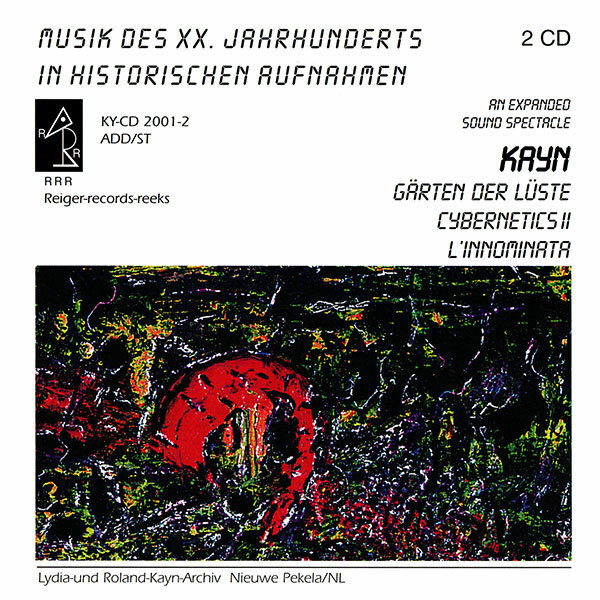 These recordings are not without flaws in terms of sound quality and technical aspects of the performance; thus, their principal aim is to represent a historical documentation. 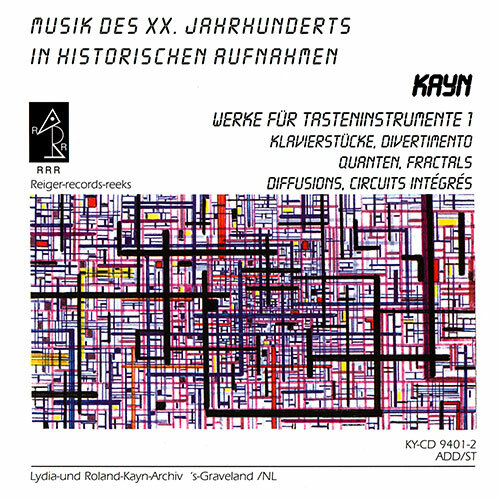 Quite frequently, Kayn recorded his unusual musical conceptions by making use of new forms of notation. 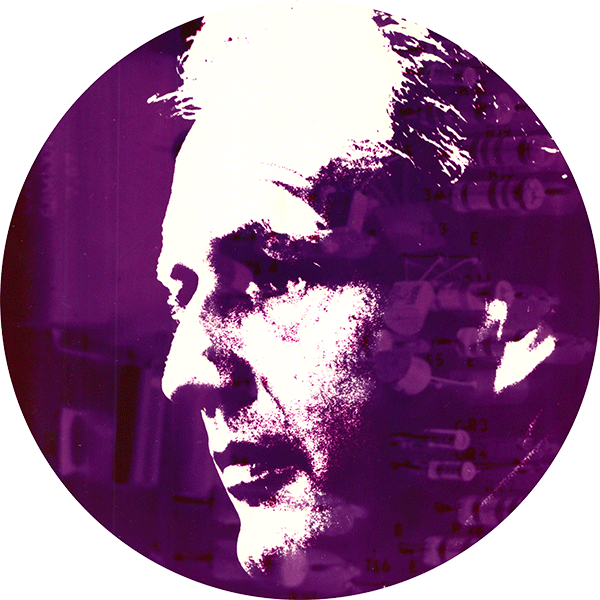 Due to the general shrinkage of concert rituals in the music of this century, the composer saw electronic music as the only alternative to reach a large audience via digital satellite radio reception. If the thesis of Heinz-Klaus Metzger is correct – namely, a composer cannot be measured by what he creates, but rather by what he does discard – this would be a circumstance where, to a large degree, the recordings presented here fittingly come into focus. 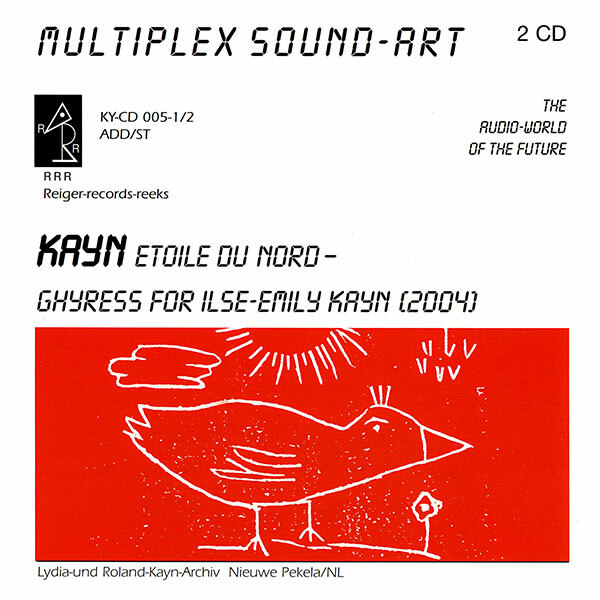 Since its first release in 1995, Roland Kayn’s personal recording label Reiger-records-reeks has been sharing Kayn’s works through a series of CDs. 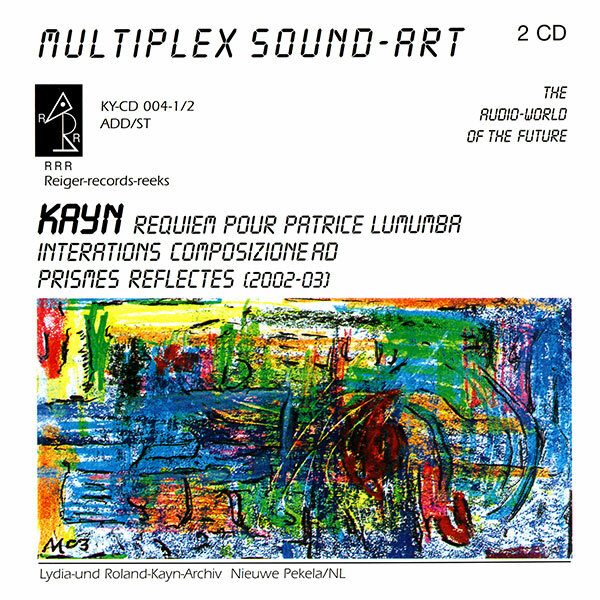 Now, after a long hiatus, we are pleased to announce that Reiger-records-reeks will resume the releasing of Kayn’s works on CD, vinyl, and through digital downloads. In recent years manners of working within the compositional process have increasingly come to the fore which cannot be comprehended algorithmically, because the elemental volumes only adopt their direction of flow at the moment of their acoustic implementation. In the instrumental area, this is most evident in the score of "Engramme" for 15-60 available players (Publisher: Edizioni Suvini Zerboni, Milan, 1973), that being a tendency that stands in extreme opposition to the progressive demythologising of current music-making. Since the performer and the consumer no longer play a decisive role with regard to the future use of the music, it is no longer a matter of accuracy, which, for example, is effortlessly provided by a computer. In other words, computer-aided designs from the outset are hardly suited to discovering virgin compositional territory, because these, even if uncertainty factors are taken into consideration, can be better utilised for subsequent analysis. Since music is largely produced from the perspective of sociological anchoring, it is incomparably more difficult for other music that is not made from this perspective to reach the concealed, hypothetically existing audience, especially since the mediating concert agent, orchestra, conductor and soloists are excluded from the relation of composer/listeners (electronic). The origin of the piece can be derived to a large extent from the viewpoint of the current conditions within mass communication: media researchers are in agreement that the vapid entertainment in radio and television, along with that offered by the visual and audio media manufacturers is due to causal circumstances, but that these are ultimately manipulated by the media itself. From this it may be plausibly derived, as per the view of progressive thinkers, that the consequence may well be a dictatorship of the discerning. However, the latter will turn out to be erroneous when, and this will be a reality in the foreseeable future, the vertical, centralised power structure of the media's consumer offering has been abdicated, and communication has gained ground (two way communication) on an individual basis, via satellite-fed, digital terminals and FS-phone networks, as an integral part of a new means of communicative connection – in place of radio and television. A short signal sequence served as substantive initial basis for the piece's generation process – approximately described as a chain of fanfare-like pulses – which, fed into a recurrently regenerative, autonomously controlling system, led to a quantity of elements of mostly invariant groupings. The resulting overall summation of complex formations from superordinate units with their subclasses, were transferred into a floating state between positive and negative feedback, in order to achieve a distribution of input variables that was as wide-reaching as possible. These results were stored on tape during the process and then grouped into three sections AàBàC, where B and C appear as derivatives of A. 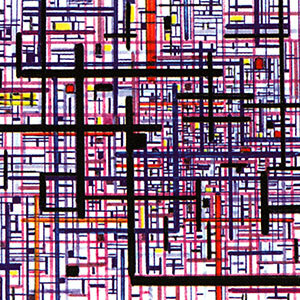 From the evolution of innovative composition – qualitatively considered – not as evinced by the fashion trends of serialism, aleatoric or the minimalism of Indian-American origin – has arisen really only one perspective in the second half of our century under the heading of innovation that can be regarded as stable when set against the common isms, and that is cybernetics. It is generally known that artists active in the sister arts of music – electronic art, video art – have seized upon these new methods, much earlier than in the field of music. The rudiments of computer science seems to be lacking in illumination, in that it does not, as was long erroneously assumed in musicologist circles, mean only the transfer from one place to another through “channels”, but rather the processing of information, its differentiation and distribution in an electronic switching system. Seen this way, development even in the mid-nineties was at the beginning of an evolution, whose progress still cannot be predicted at the present time. 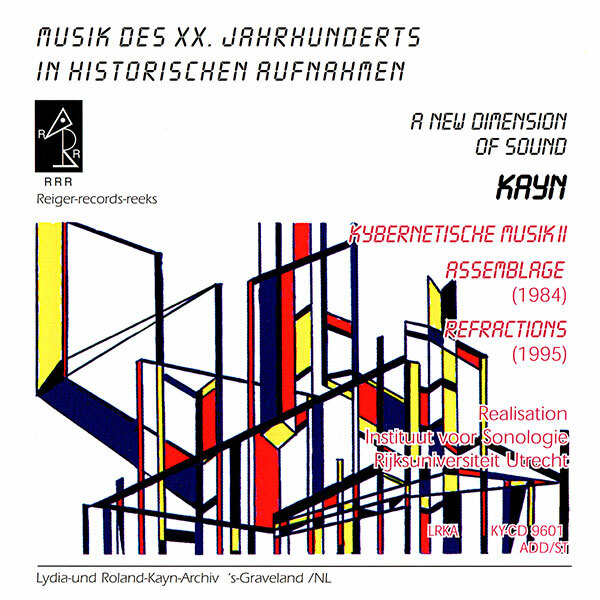 Due to critical perception, in the seventies at Rijksuniversiteit’s Utrecht Institute of Sonology, a thesis gained in importance which showed that much more innovation output occurred, specifically in the analogue area of electroacoustic systems, with their integrally determined diverse variations and relatively large instability in mutual networking, than was the case with digitally controlled systems. For all enquiries related to the Roland Kayn estate, performances, and other information, please contact ilse@kayn.nl.